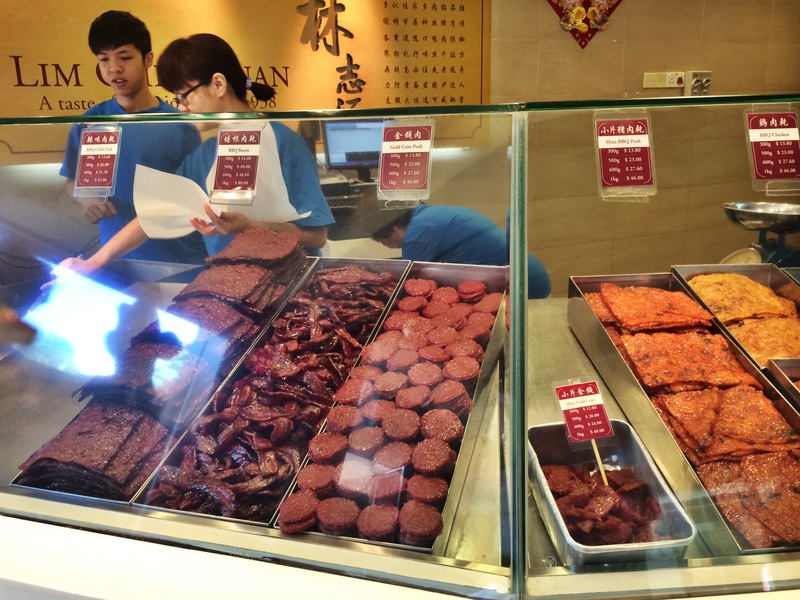 It was called “bak kwa,” from the Lim Chee Guan company. She then sent me a link explaining. Bak kwa, in turns out, is a kind of flattened pork product, appearing about the way you might imagine laboratory-grown beef to look once you’d cooked it up. Around the Chinese New Year, prices for bak kwa skyrocket and people queue. Again, the Singapore Daily: “There’s even a Bak Kwa Index to monitor ‘sizzling’ prices over the days leading up to CNY.” Fortunately, for Shoba, it’s readily available and less bankruptcy-inducing the rest of the year. A few nights later, Bob and Shoba were coming for dinner. I opened the package. Inside was thin sheets of charred meat, looking fairly unappealing. I broke off a corner and tried it. Instantly something came over me, as if — like Snow White and the apple — an evil spell had been cast over me. I did not want to share. The flavor fell somewhere in the Golden Zone between Korean short ribs and bacon, the texture toothsome yet melt-in-your-mouth —a pork gummy. I doled out miserly slivers to my wife and guests. The children didn’t want to try it, bless their little hearts. And then Shoba slipped, and the secret was out. In the process of further mystifying bak kwa for us, she happened to mention having eaten some recently — as in more recently than Singapore. “We have some? !” Bob asked, surprised. Confronted, she was mercilessly honest and utterly unrepentant about her stash. I was impressed. Shoba is one of the world’s most beautiful women. But she does not let you take a photo of her. 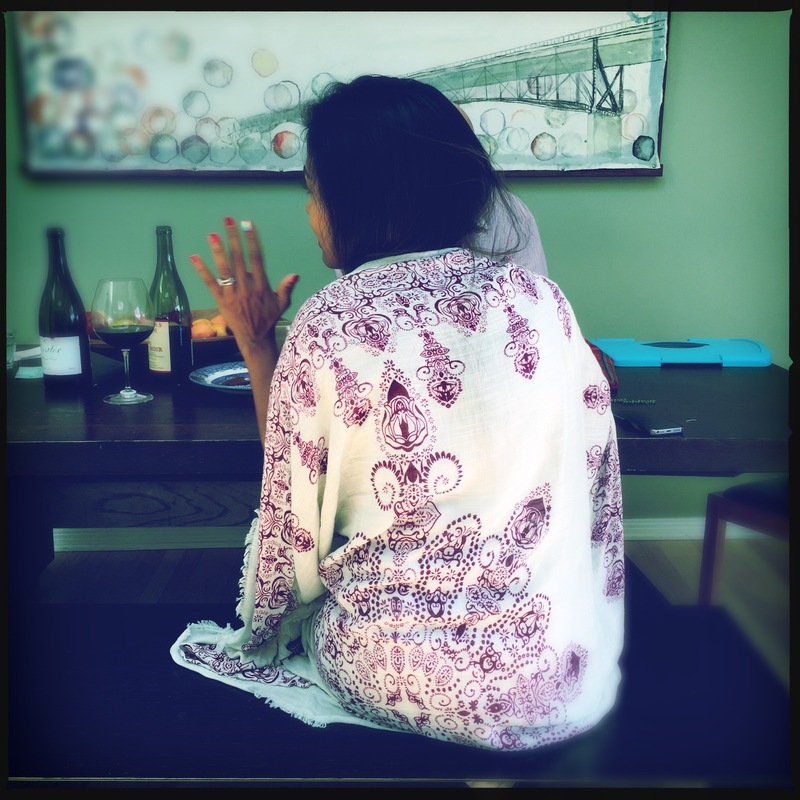 As I tried in vain to snap a shot for my blog post, eventually settling for an image of her back, an unsettling thought occurred to me: Maybe Shoba really was some kind of malevolent meat sorceress (there was a reason she didn’t let you take her picture! 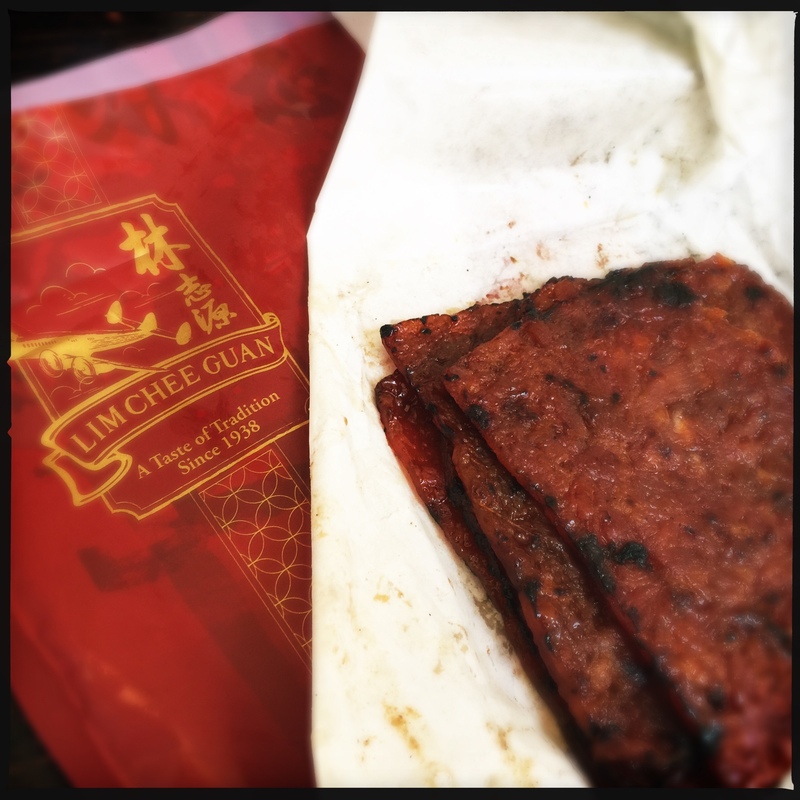 ), the bak kwa enchanted, and I was now under its spell. “You must set up a daily ration scheme,” Shoba later counseled me when I confessed in a text to suffering from bak kwa cravings. Yes, I assured her, the main component of my ration strategy was to not share. I had learned well from my bak kwa sorceress. Now the bak kwa resides at the back of the fridge, tucked behind the half-eaten Iberico bellota ham leg — two pork miracles from opposite sides of the globe. By the time anyone reads this, it will be gone. Great piece, as usual! Had me laughing and wanting to try this magical mystery meat. Just wanted to let you know how much I enjoy your writing and your stories, thanks! I like my one Singaporean. WHY do you tell us if you’re not going to share? Mmmm, Asian jerky. And I’m with Shoba on the photos. Why do people think I always have a camera in my very own hands? There is nothing I wouldn’t do for some Iberico. 😉 I made the sorceress sound a little more evil than she actually is. A little. We’ve gotta do what we’ve gotta do. I’m not above (below) stashing meat in the veggie drawer, the butter nook, even the medicine cabinet if need be. One small step for man–one giant leap for pork-kind! Spoken like a true pork believer. The story of pork is the story of the US. This land sustained itself on pork-back when beef was too exotic and expensive for the average household. BTW–Happy Birthday to your dear father in what I am sure must be the happiest of afterlives! Thank you, Asian Foodie! I’m enjoying your posts as well! Just stumbled upon your website when searching for Lardo, then found this Bak Kwa page. Next time Shoba buys you more Bak Kwa, keep a few slices in the fridge and stash the rest in the freezer (each piece wrapped in its own foil package). When you can no longer bear waiting any longer, take a couple of slices out, warm them within their foil packets in the oven, then finally remove from foil and grill till the fat bubbles and sizzles. The perfume wafts out of the kitchen (secret’s out!) and I swear it’s really the best way to eat the warm, slightly crisp/burnt edged Bak Kwa. That’s the best advice ever, thank you! Bak kwa year round, whenever you want it! Kitchen perfume!